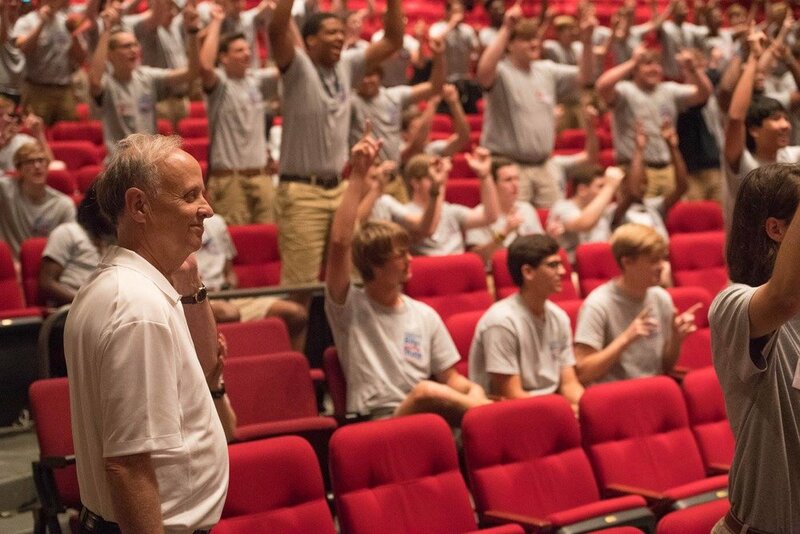 Boys State is the premiere leadership program for young men in the state of Mississippi. Our goal is to allow as many eligible students as possible to attend the Boys State Program. Please read through our Cost and Sponsorship page to learn more about the fees associated with the program. First, please read through our information packet very carefully. Second, find a local American Legion post near you. Find your county on the district map, then go to the correlating page with information on legion posts in that district. It can be found here. Third, print the necessary documents to fill out and bring with you to registration on May 26th. The documents can be found here. You’re almost done! Next, fill out and complete the registration form. Make sure to include as much information as possible. You’ll receive a confirmation email when complete, please print this off to take to your school counselor and local American Legion Post. Finally, share the information in the next paragraph with your sponsor, whether you’re sponsored by a Legion Post, local business, church, community organization, or your parents. Again, if you have questions about sponsorship, check our our Cost and Sponsorship page. You will send your check for $275 to: Department of Mississippi American Legion Boys State, P.O. Box 688, Jackson, MS 39205. Please be sure to include the full name (First Middle Last) of the delegate and their hometown. PLEASE NOTE: YOU WILL NOT RECEIVE AN ACCEPTANCE EMAIL UNTIL WE HAVE RECEIVED PAYMENT FROM YOUR SPONSOR. ALSO, DO NOT MAIL THE FORMS. YOU WILL BRING THE FORMS WITH YOU ON REGISTRATION DAY. If you have any problems or questions about registering for the boys state program, contact us here!